It was a very cold morning in the winter when a man on his way to work came across something unusual. He found six tiny animals who desperately needed his help—and he was happy to come to their rescue. The puppies were very small and completely hairless and huddled in the woods together. They very young and too young to be away from their mother who was nowhere to be found. The puppies skin was chapped and pink and they almost didn’t look like dogs. 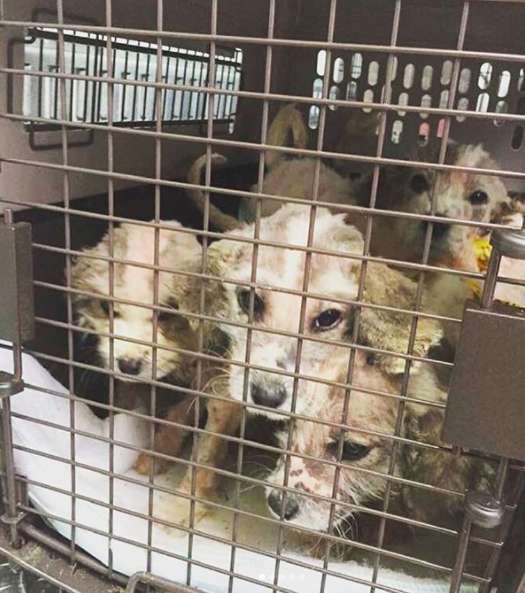 The man who found them gathered up the puppies and took them to a local shelter in Alabama where the staff was horrified by their condition. The puppies smelled so terrible that the staff had to wear masks to give them a bath. Each of the puppies had scabies, were very cold, and very malnourished. None of the puppies had fur, so it was nearly impossible to determine their breed. The puppies only weighed five pounds, so they assumed they were a small breed. Some of the staff thought they were cocker spaniel mixes because they had curly fur when they arrived. 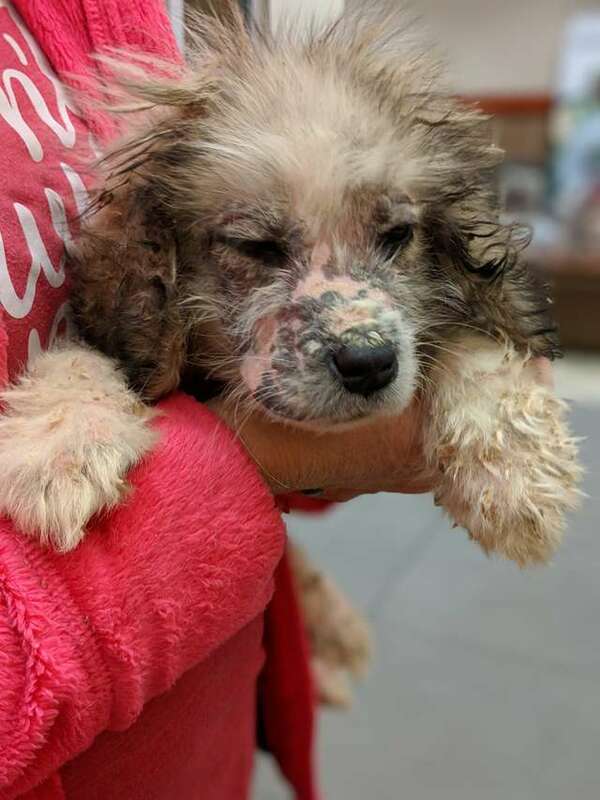 The shelter posted on Facebook, saying they needed help with medical bills and care for the puppies, so they were brought to the Auburn Veterinary College for treatment for their scabies and each dog was placed in a foster home. Two homes stepped forward to take in the puppies, each taking three of them into their home. The puppies needed constant care and had medical needs, so these homes were instrumental in their healing process. 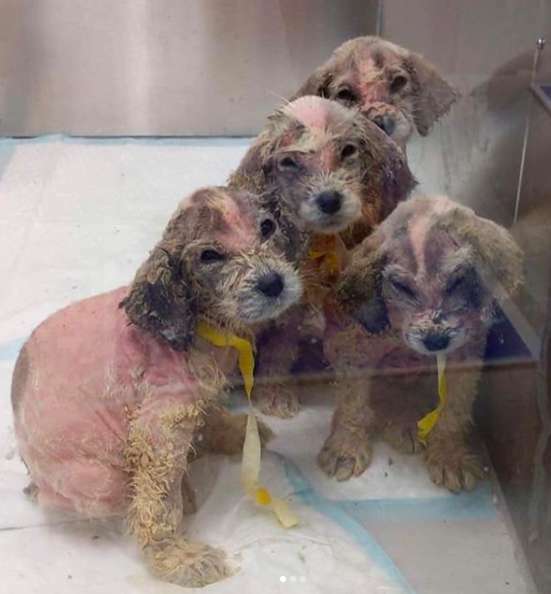 They received medicated baths and plenty of food and they grew like crazy and their fur returned—but they still didn’t know their breed. They thought perhaps they were Great Pyrenees poodle mixes, so they did a DNA test. 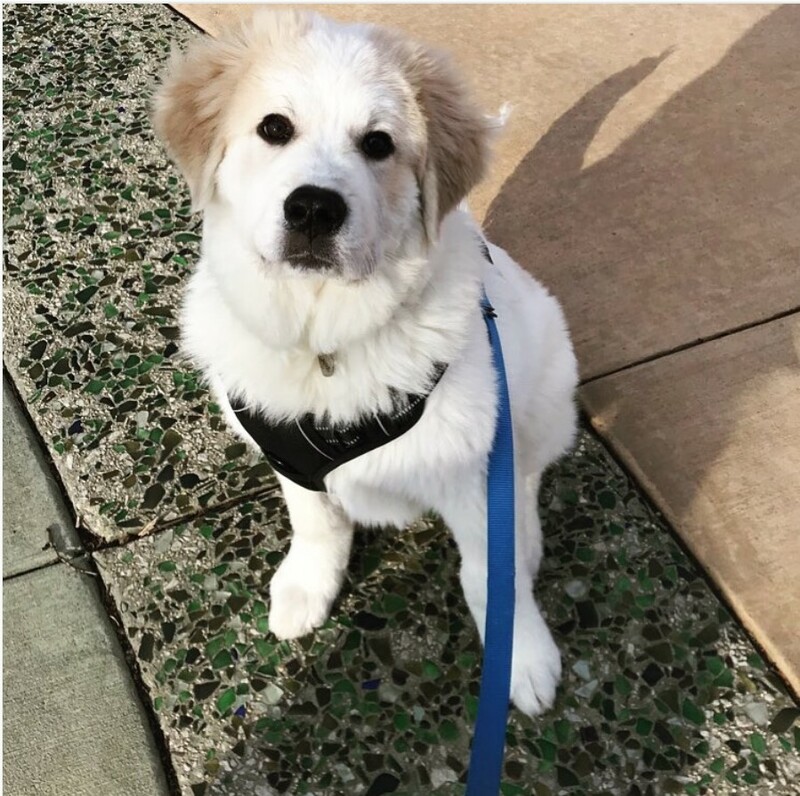 The results came back that they were 100% Great Pyrenees. The puppies have grown like crazy—they are all over 100 pounds and will be ready for their forever homes soon! 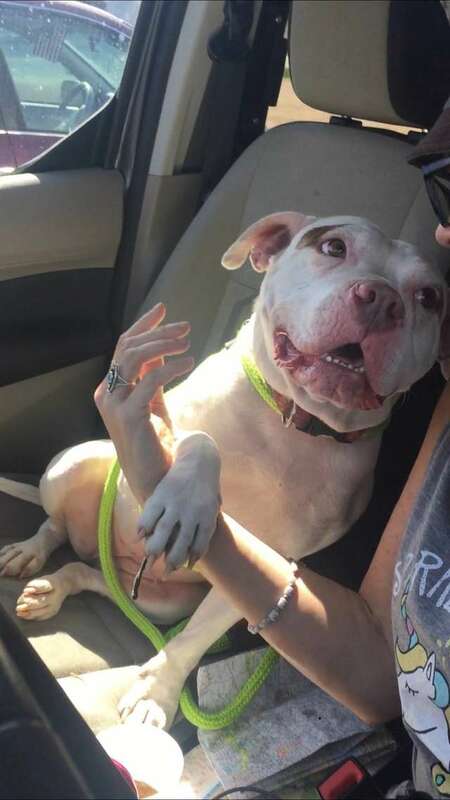 A homeless pit bull named Nellie was once described as scared, shy, and fearful. But now, brave is the best word to describe the sweet dog. 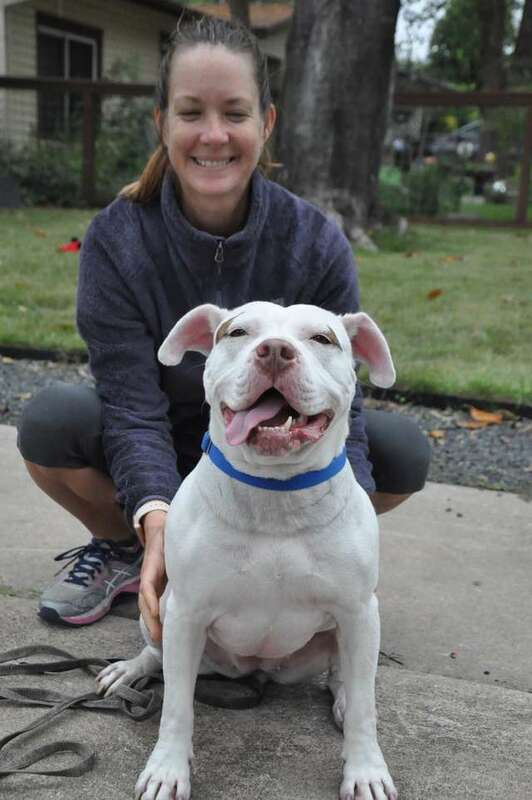 The five year old dog was no longer homeless, thanks to her foster mom Jane Taylor. So, the pair set out on a hike together recently and Nellie jumped into action. Nellie’s story starts several years ago, when she was just a year old and rescued by the Final Frontier Rescue Project in Texas. She found herself in a series of shelters before going into a foster home with Jane. Nellie arrived scared and little overweight to Jane’s home, but soon run with her foster mom helped her trim down. She’s made a big shift in her temperament too, getting over her fear of loud noises and being afraid of being touched. She has a new life now, and Nellie is finally happy enough to embrace it. But Jane had no idea how much Nellie had grown until they went on a hike together. They were up in the mountains and on their way back to the car when she heard something: the rattle of a snake. Before Jane could react, Nellie jumped into action and jumped on top of the snake. Sadly, Nellie was bit in the face by the snake. A man on the hike with Jane threw a jacket over the snake and took it away and Jane picked up Nellie and took her back to the car. Poor Nellie was in pain and suffering, and Jane took her immediately to the vet. 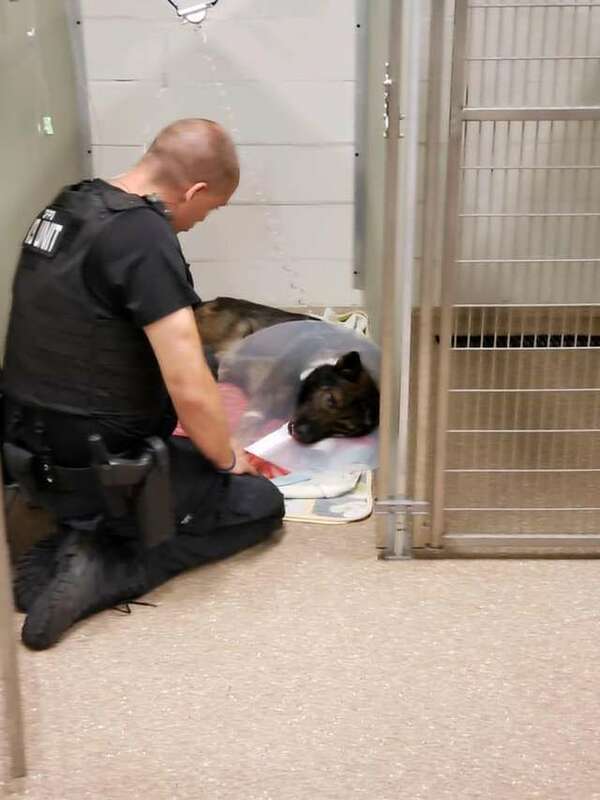 She arrived just in time and the staff was able to give her antivenom and antibiotics and she has made a full recovery. In fact, Jane says Nellie was back to her usual self and chasing squirrels just two days after the snake bite. Now all Nellie needs is a forever home! 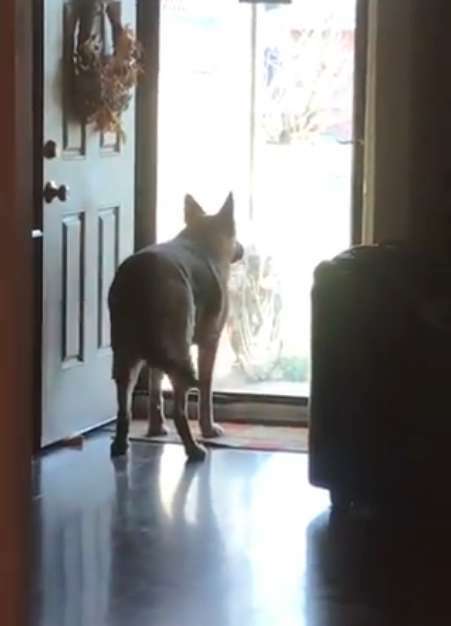 A pit bull named Rocky loves to play outside in his home of North Carolina. So, when he was out running around one night something caught his eye: it was a possum. He chased it across the yard and when the possum ran into a pipe, Rocky followed it inside. 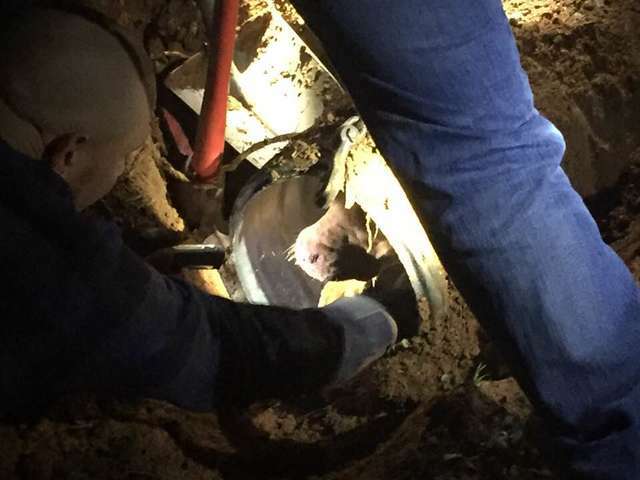 Unfortunately, the possum was able to get out of the pipe on the other end but poor Rocky was very stuck. 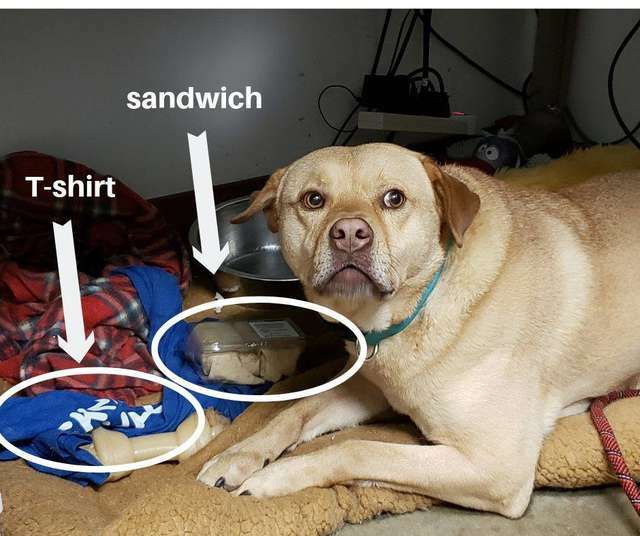 Rocky’s owners soon realized what happened and they contacted the Catawba County Animal Control organization for help. 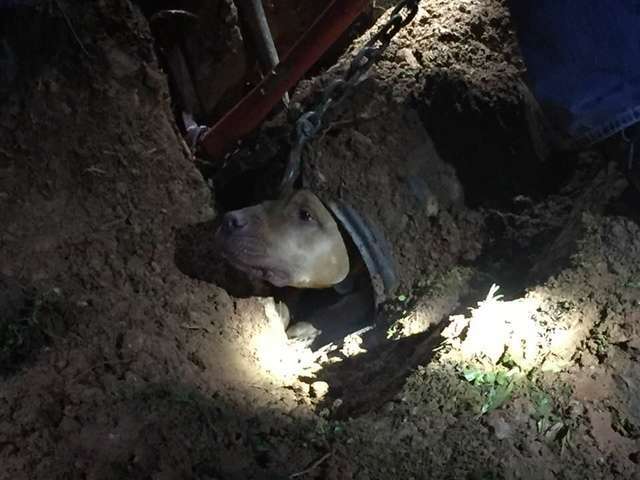 Animal control officers soon arrived on the scene and realized they needed additional assistance to get poor Rocky out of the pipe. So, Claremont Rescue came to assist. The entire rescue team was assembled, and it was time to get to work. 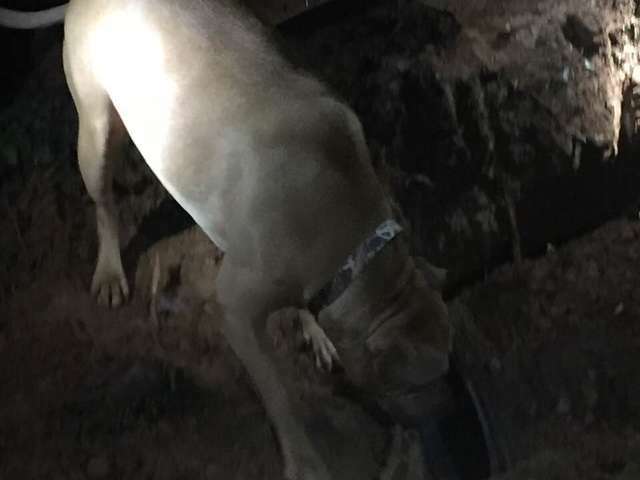 The first order of business was to figure out where in the long pipe Rocky was stuck so they could dig down and free him from his spot. The pipe was 100 feet long, so it took some time to figure it all out. 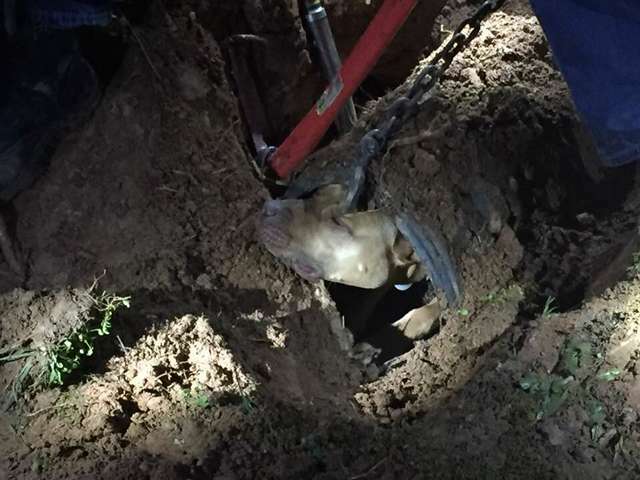 Luckily, they soon located him and realized he was approximately 50 feet into the pipe. The good news is that they found him and he didn’t seem to be scared—really he was mostly annoyed that the possum had escaped him. So, the team began digging down toward Rocky. It took over two hours, but the team finally freed Rocky from the pipe. 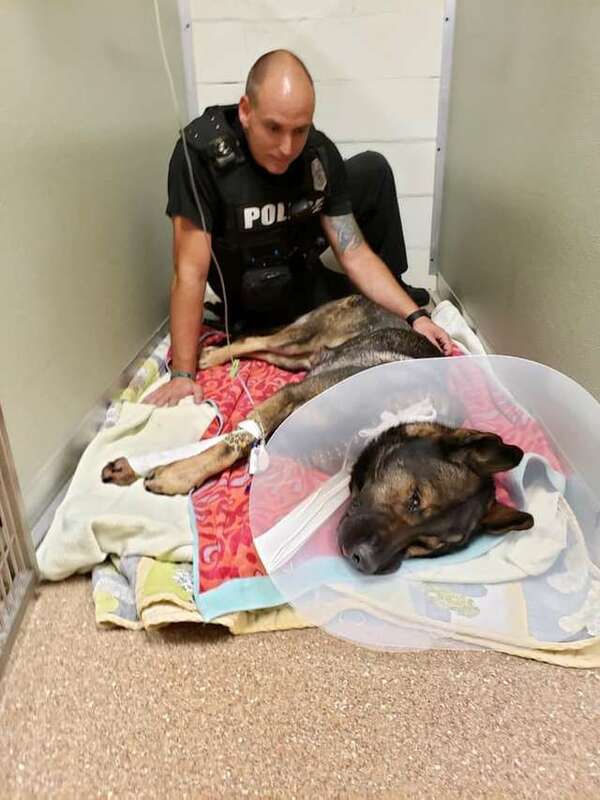 He was so excited to be out of the pipe that he began wagging his tail and even went up to each of his rescuers to “thank” them for their efforts. He was not the only person who was grateful for the efforts of rescuers, of course. Rocky’s owners were so happy that their sweet dog was free and safely out of the pipe. 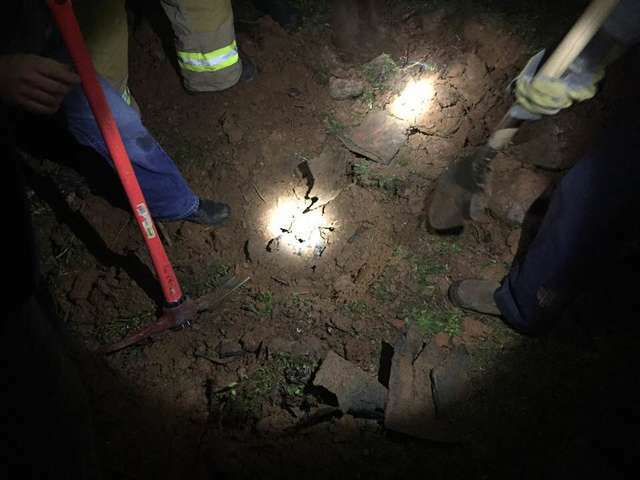 Here’s hoping Rocky learned his lesson about chasing possums into tight areas! A twelve week old Pomeranian-husky mix named Tahani was born to a breeder. 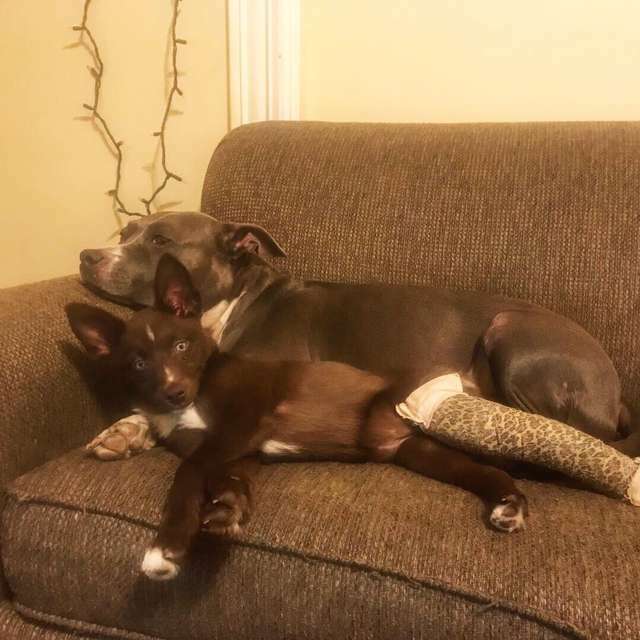 When she was sold to a family, she somehow broke her leg. 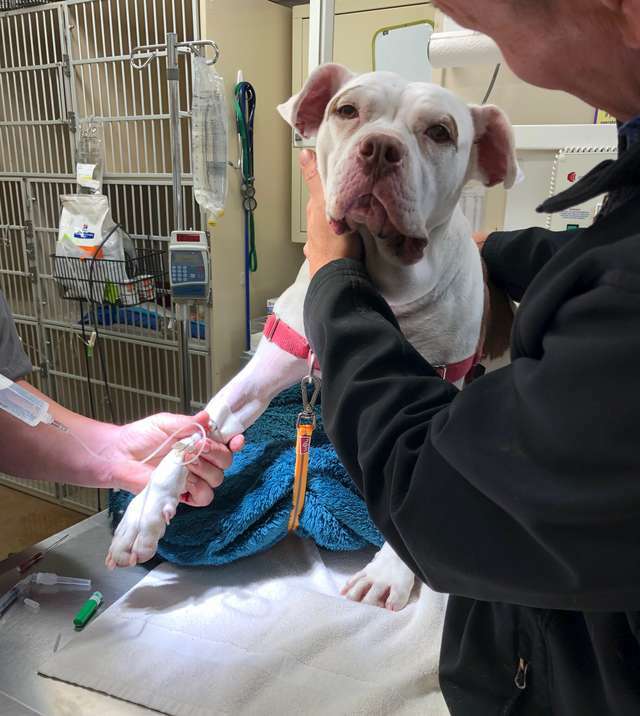 The severe injury meant she couldn’t be sold any longer, so instead of getting her help, the breeder surrendered her to the MSPCA Boston adoption center. From the moment she arrived, everyone at the shelter was smitten by the beautiful little puppy. 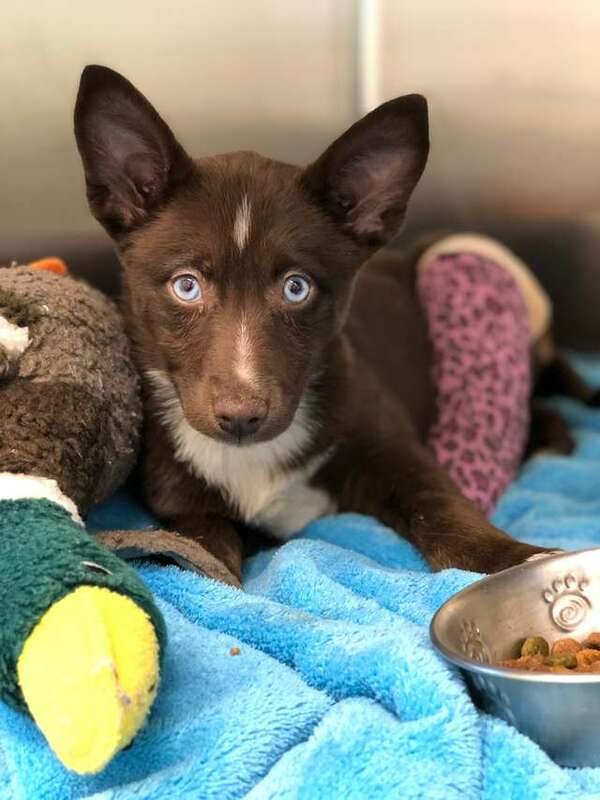 She is a rare breed and despite being in a tremendous amount of pain, she just gazed lovingly at her new friends with her bright blue eyes. Aside from the broken leg, Tahani was in great shape and good health. 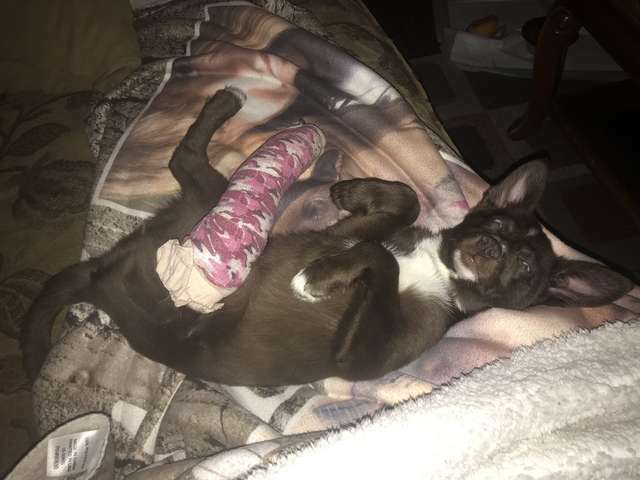 Her broken leg was a clean fracture which meant it was likely very painful for her. 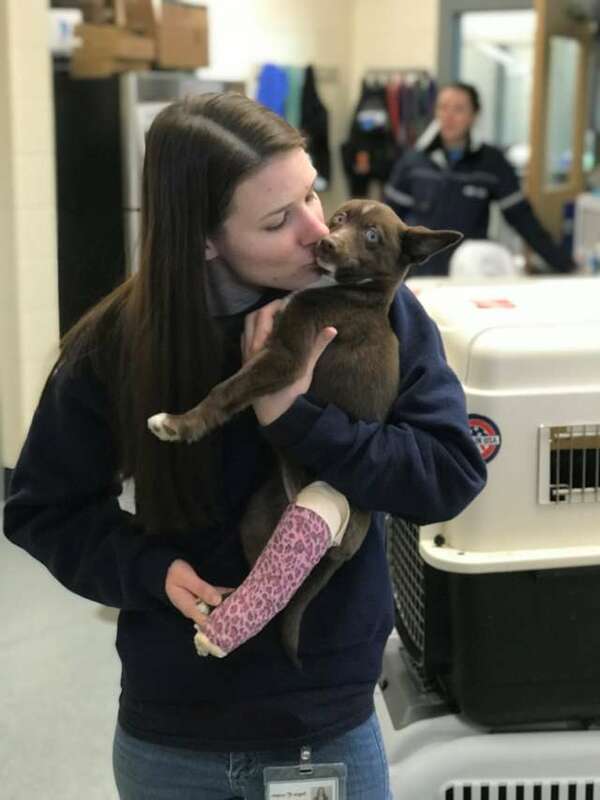 So, the veterinary staff at the shelter put her on pain medication while they worked to evaluate if she needed surgery to help the leg heal or if she just needed a splint. It was eventually determined that she did not need surgery and she was fitted for a splint. She gets her bandages changed each week and so far, she is healing and thriving. Tahani is very playful and sweet and doesn’t seem to notice she has a splint on her leg. 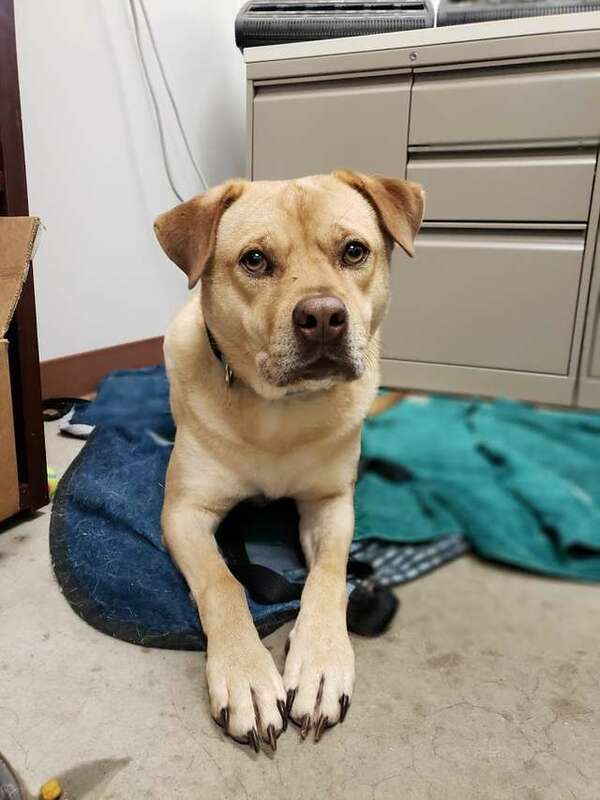 Tahani is being fostered by an employee of the shelter but still gets plenty of visits to see her friends at the adoption center. 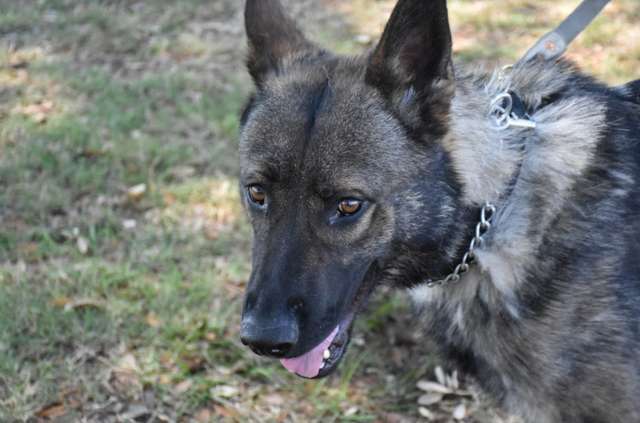 It’s clear to everyone that she is a sweet, spunky dog who will make a great family member for a lucky family. She’s still a puppy, so Tahani is very playful, loves to explore, and loves attention too. 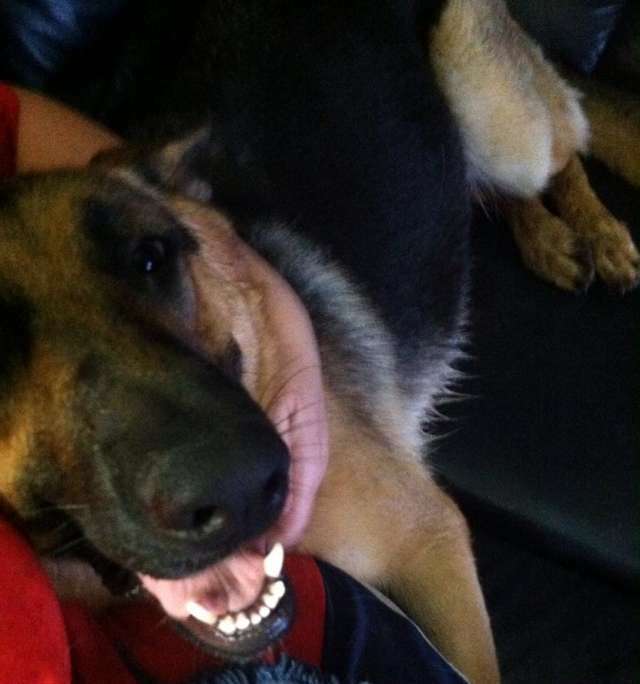 She loves snuggling with humans and dogs alike. 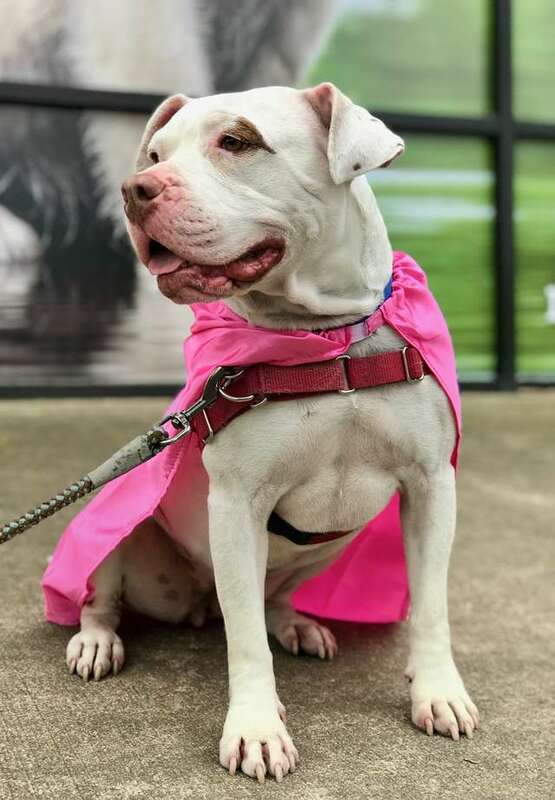 Tahani is doing very well with her recovery, and the MSPCA has posted about her online and so far, she has received 100 applications for adoption. After all she’s been through, the staff is thrilled to know that she will soon have a loving home! 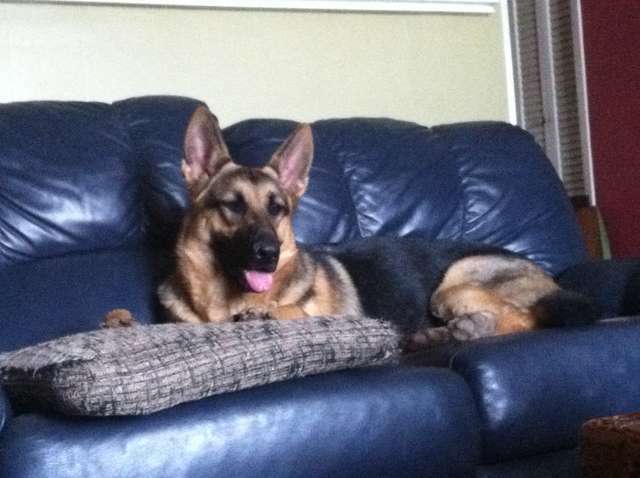 Back in 2013, the Cimino family in Texas adopted a German Shepherd named Gretchen. It was clear that she had a terrible life before then; she did not trust people and was very wary of all strangers. With time, she grew to trust her family, but still did not like strangers—that is, until she met Fernando Barboza. 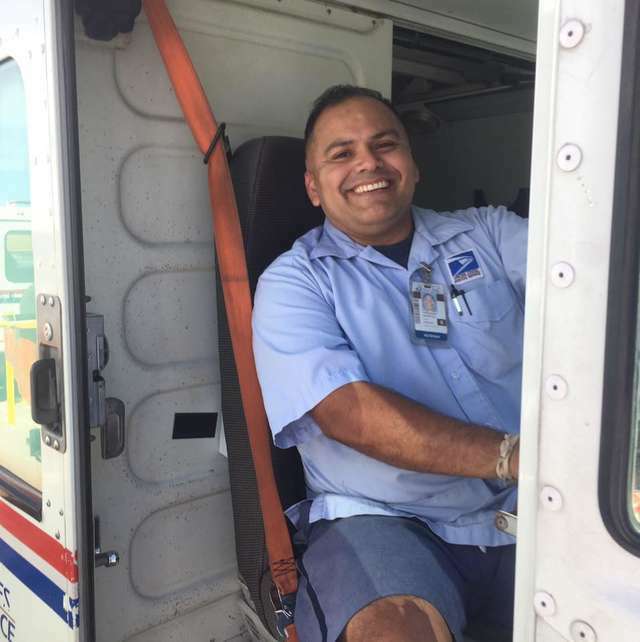 Fernando loves dogs and it shows: he’s been a Postal Worker for five years and now knows all the dogs on his route by name. 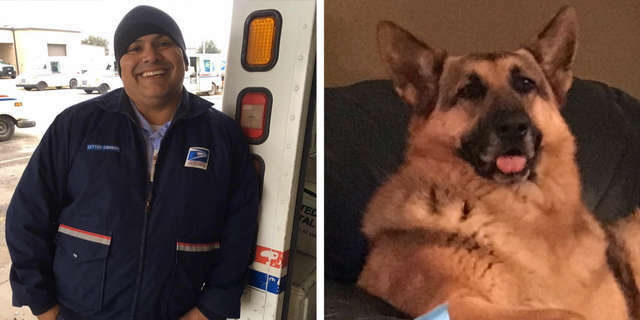 He keeps a bag of dog treats in his truck and when he brings a package to the people on his route, he gives their dog a special delivery too. He says that dogs are part of the family and he wants them to receive something along with their owners. Fernando expressed his sadness to her family and promised to carry out her final wish. 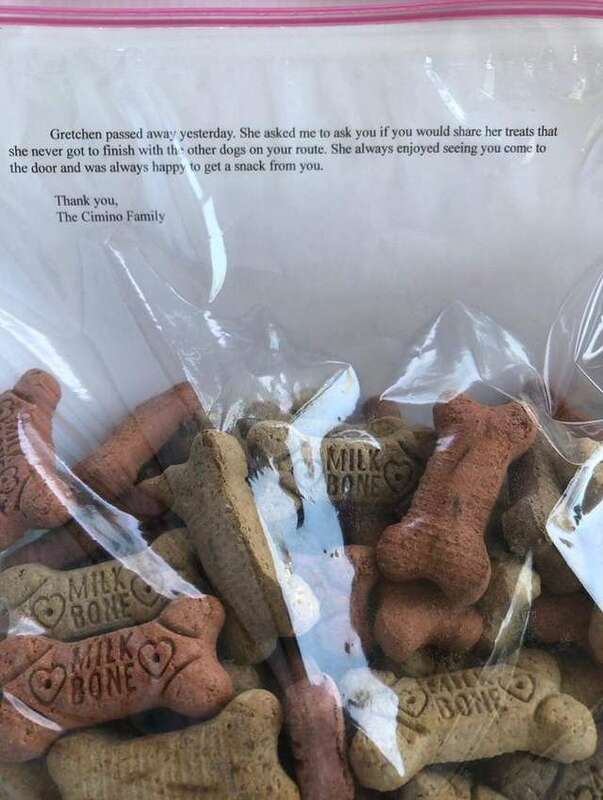 Fernando gives out treats each day to the other dogs and is sure to tell them they are from Gretchen. 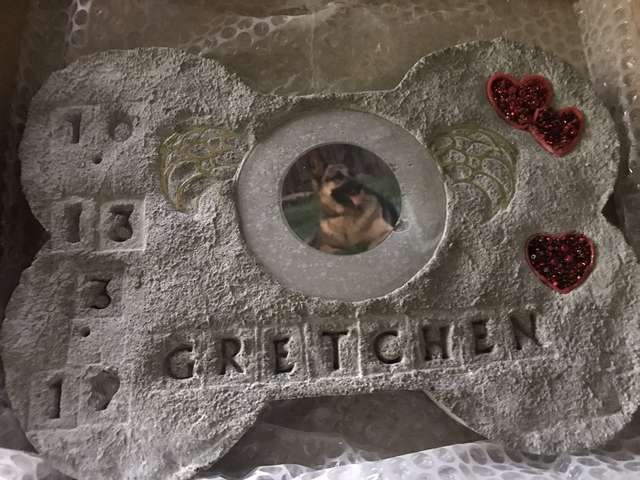 While this loss is hard for Gretchen’s family and for Fernando, knowing her legacy lives on has offered them some comfort. A group of friends thought it was just a typical day as they took their dogs for a walk in a local park in Oklahoma. However, they got to the park and realized there was something in the grass, just lying there. As they got closer they realized it was a tiny puppy and it needed help. The pup was very skinny and missing patches of its fur and it just looked sad. Once he saw the humans and the dogs he perked up and began following them. That’s when they realized they need to help him. 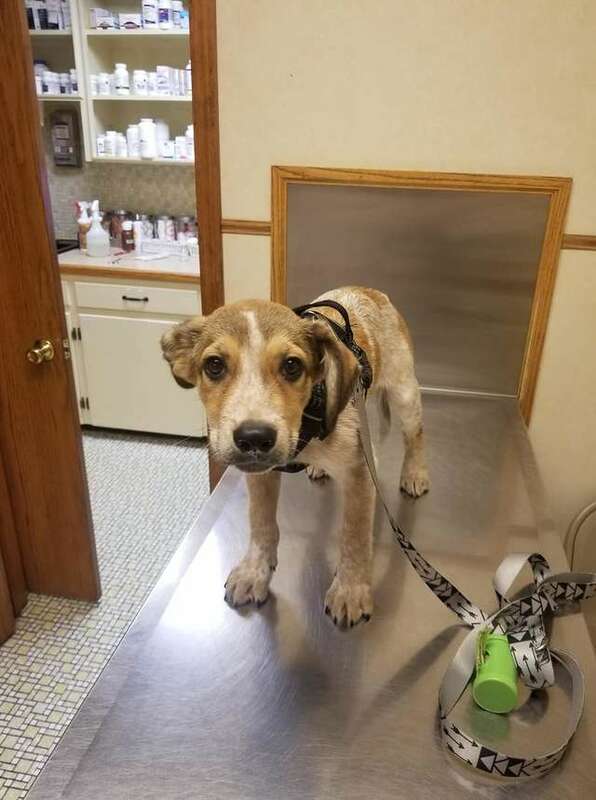 They brought the puppy home and took him to the vet so he could be checked for a microchip. 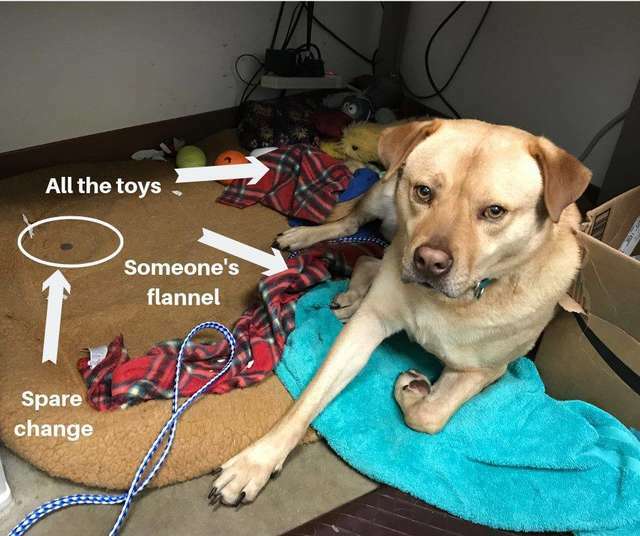 He didn’t have one, so they posted photos of him to social media to try and find his home. They came up empty after several weeks, so they set about the task of trying to find a family to adopt him. 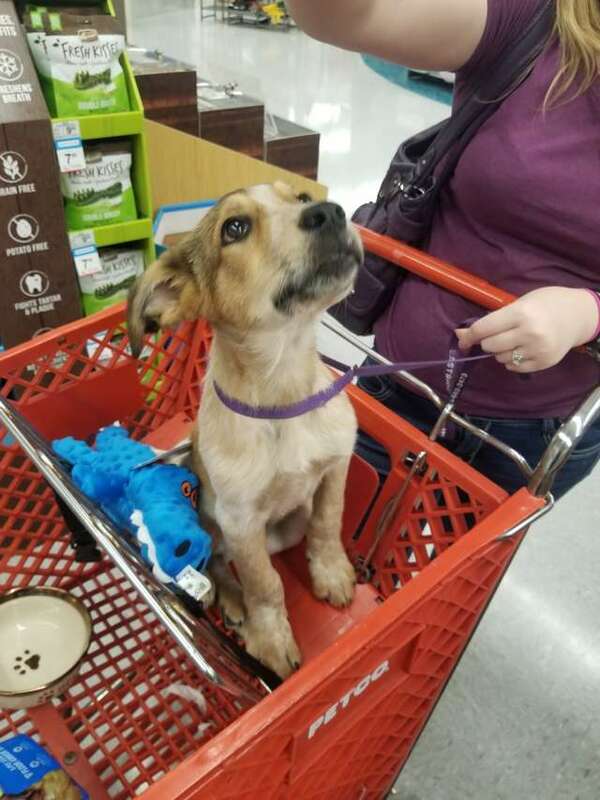 A couple named Jacob and Katy Bywater, friends of the people who found the puppy, were interested in adopting a dog. 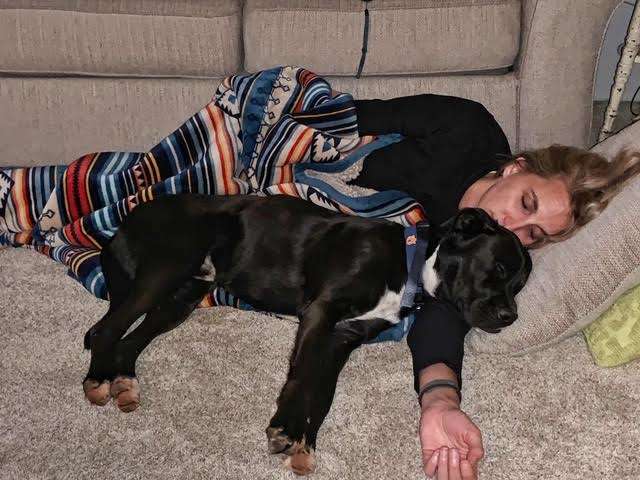 They knew this was meant to be their dog, so they gave him a home. They gave him a name too: Strider. He was very shy and timid at first and it was like he didn’t even know how to play. 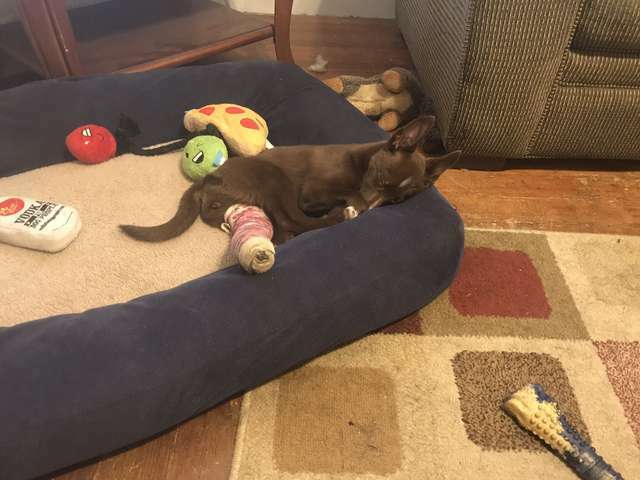 He went to the vet where it was determined he was around 10 weeks old. 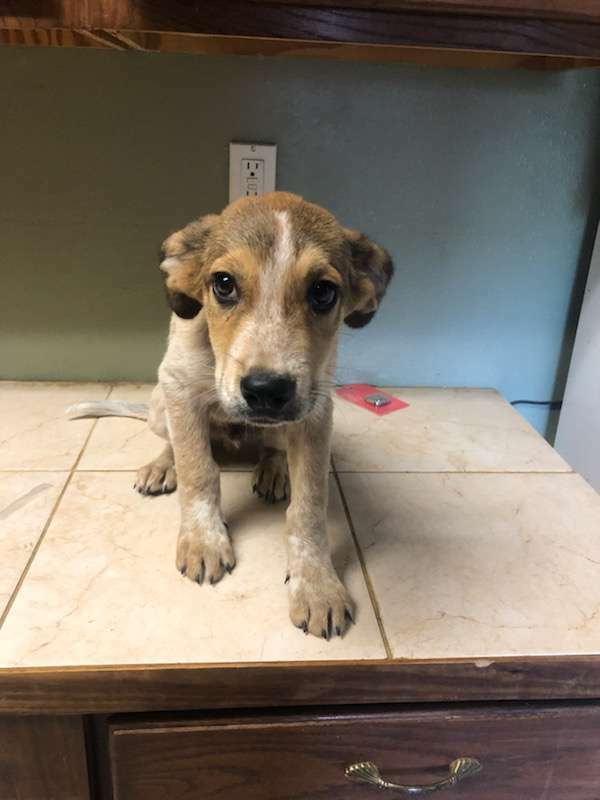 The vet thought he was a red heeler and beagle mix and would stay around a medium size. The couple was happy to hear that, as they were wanting a smaller dog. But as time went on Strider kept getting bigger and bigger. Once he hit 6 months old, Strider was 40 pounds and they weren’t so sure he was a beagle mix. 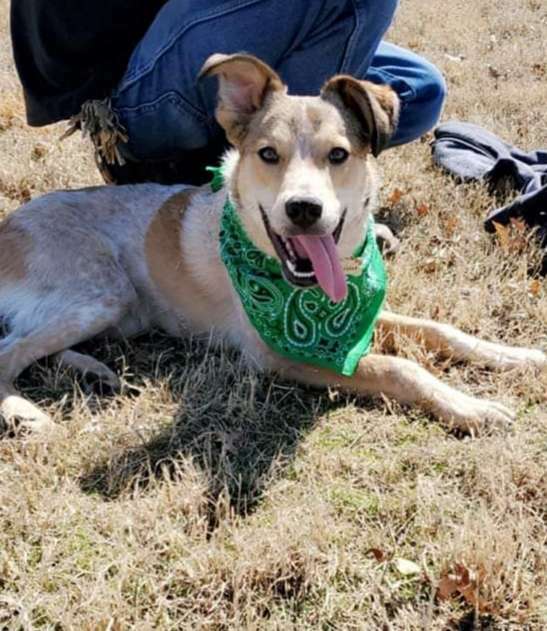 So, they bought a doggy DNA kit and it said he was a red heeler and Great Pyrenees mix. The couple didn’t care though—they love Strider no matter what size he is. While he is getting bigger every day, he is also coming out of his shell. He’s no longer the shy, scared pup of his past. He is getting more confident and playful who loves to run around and play! A dog named Mosley looks a little different than other dogs. But despite his unique experience, he is very sweet and incredibly loveable. 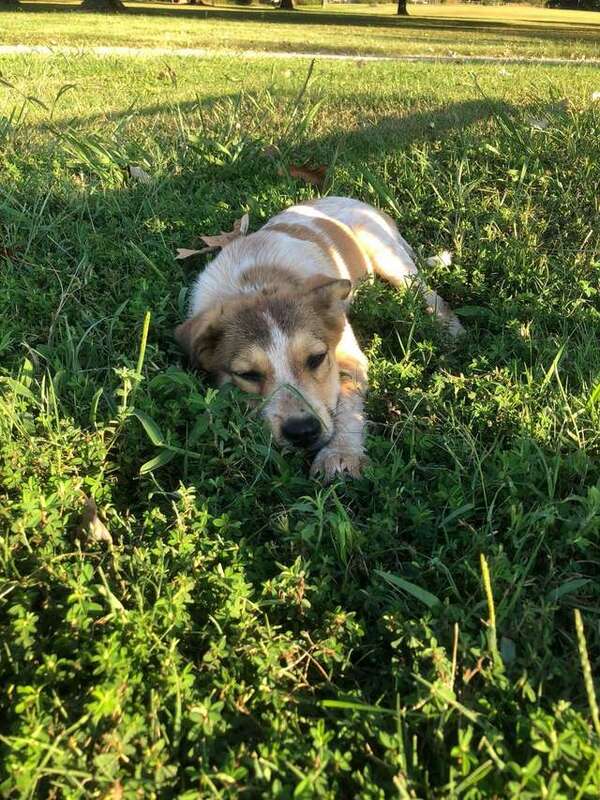 The young pup first arrived at the shelter in rural Georgia last month and he was overlooked time and time again. There were many other dogs at the shelter and it was a crowded, busy place. It could’ve been because it was so crowded and it could’ve been because Mosley’s face is a little crooked. 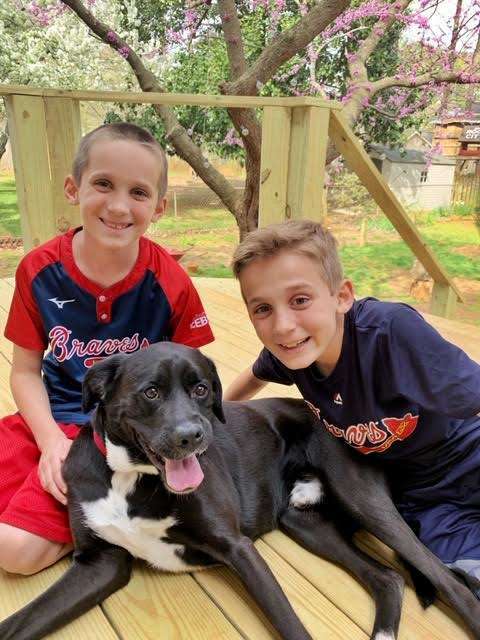 No one knows for sure, but a woman named Amanda Harris from the Atlanta Humane Society stepped in to help. 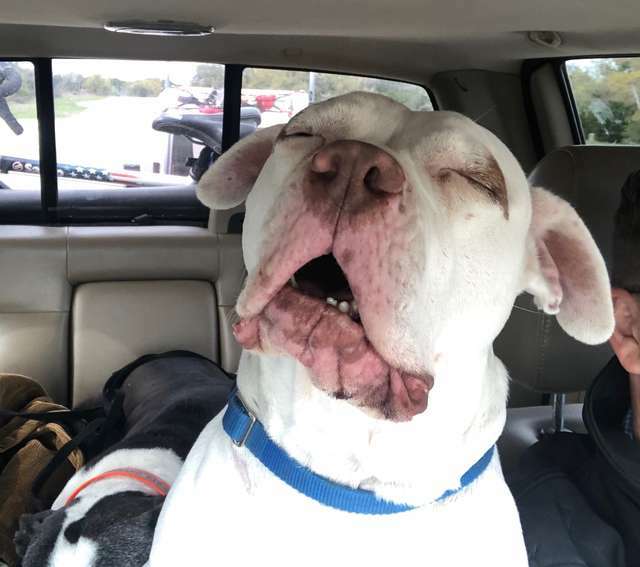 Amanda saw Mosley’s photo online and knew he was a special dog, so she left to pick him up from the rural shelter. 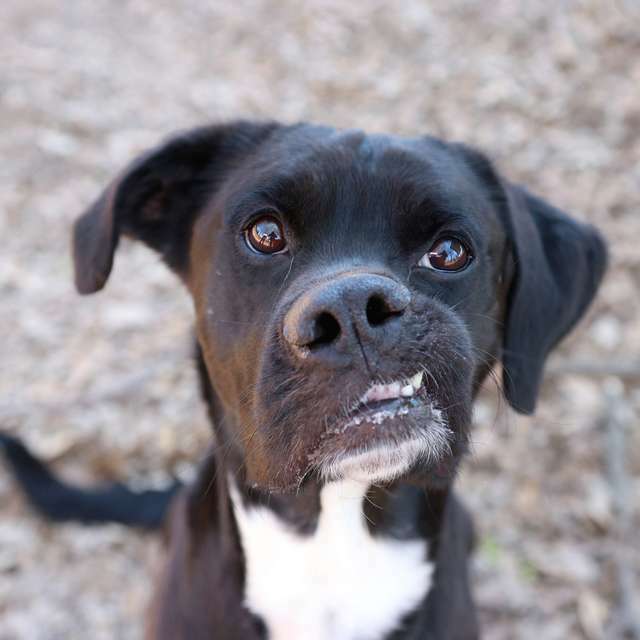 It was his crooked smile that captured her heart and they knew that unique look would help him find a forever home very quickly. 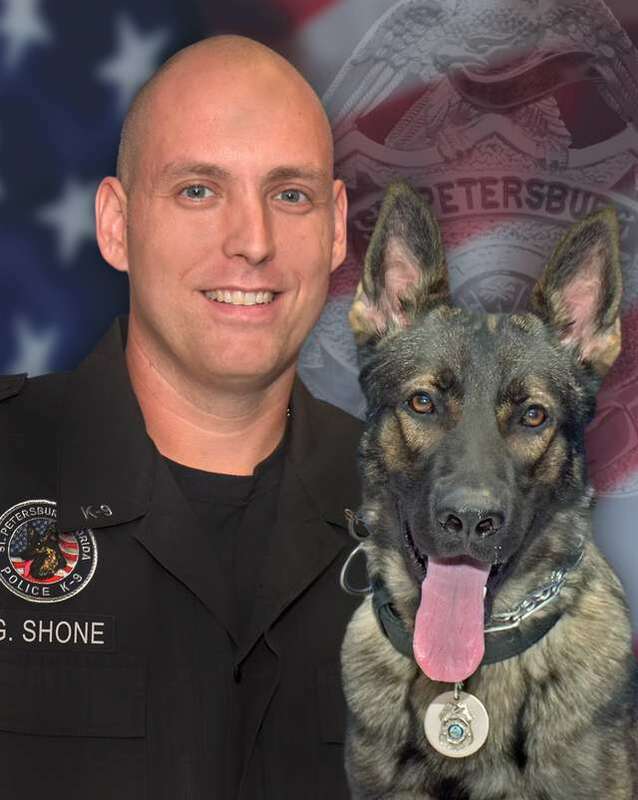 They took plenty of pictures of Mosley and posted his photos on social media where he quickly captured plenty of attention. 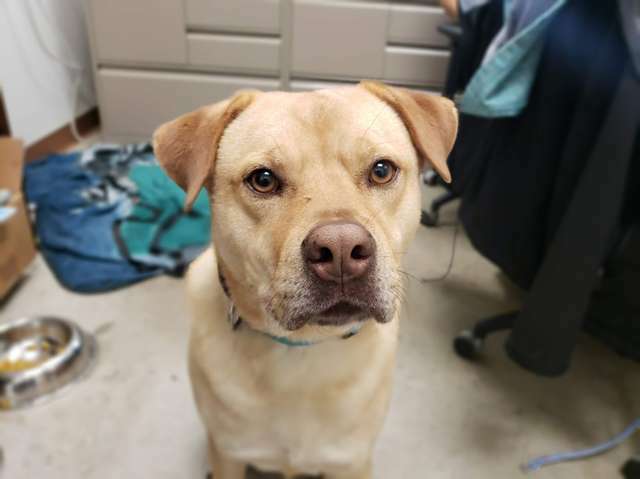 No one knows why Mosley has a crooked face, but it is not due to any health problems. 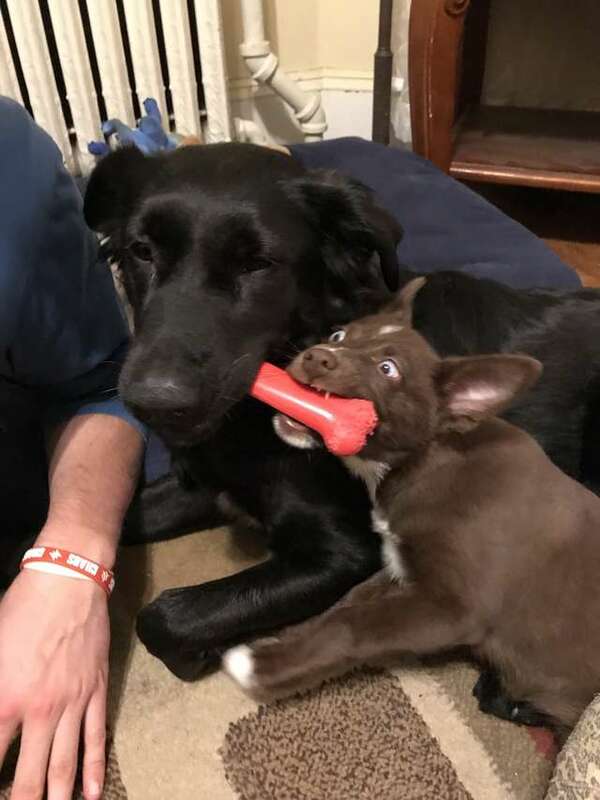 They figure he was just born that way. 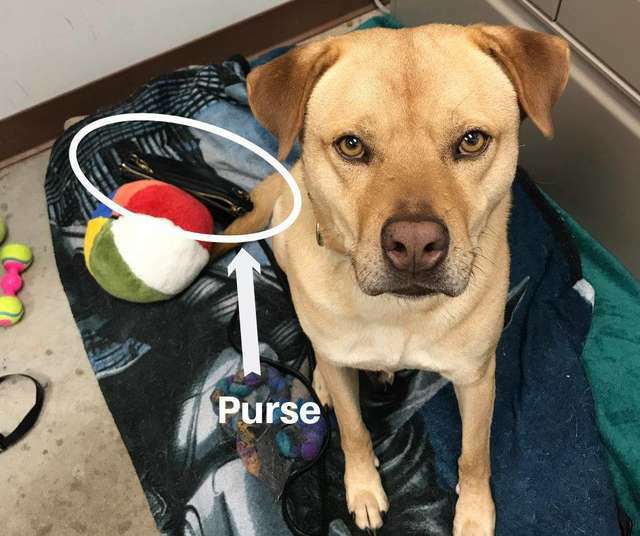 Once he was posted on social media, dozens of families came forward to adopt him. A woman named Lindsey Ramsey was one of those people and she and her family ended up being the perfect match for Mosley. Mosley is now home with the Ramsey family and he fits right in. They say he loves to zoom around the yard and get belly rubs and snuggle. He loves his two human brothers and is still working on getting along with his cat sister. He and the cat aren’t friends just yet, but the family is working on getting them to be new friends soon. 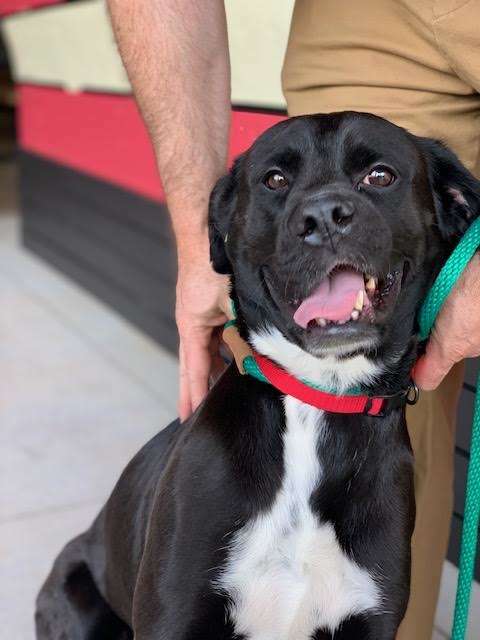 No one is certain where Mosley came from, but it doesn’t matter these days: he has the perfect home for a bright future. 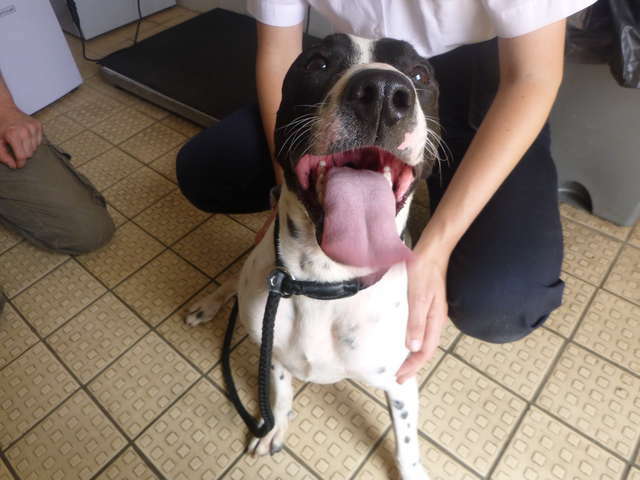 After several neighbors called the local police about the number of dogs living in a home in Hull, England, the RSPCA went in to check. 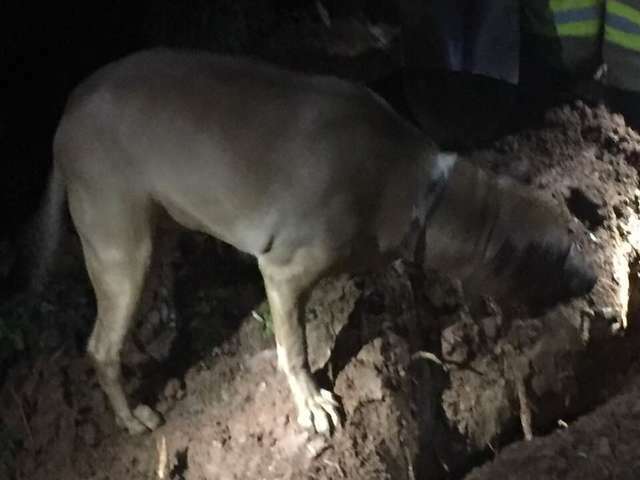 It was believed there were several dogs living in poor conditions and the RSPCA inspector, a woman named Jilly Dickinson, was shocked by what she found. 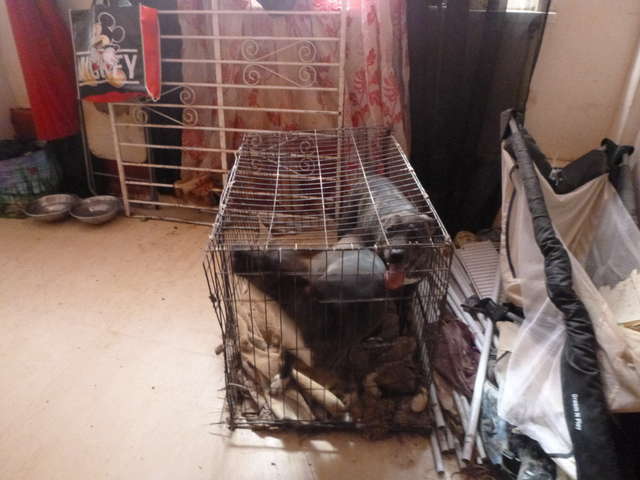 When she entered the home, it was not suitable for dogs. The dogs living inside were very skittish and nervous. The dogs living inside were in a living room that was dirty and smelly—they were all using the bathroom inside. 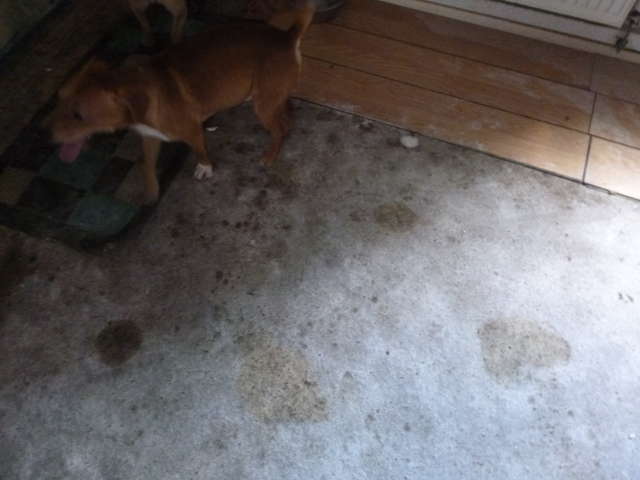 The other half of the dogs were living in an outdoor outbuilding that was in equally terrible condition. There were a total of nine dogs owned by the woman, who seemed very overwhelmed. The dogs had never really been outside and had not been socialized. So, Jilly offered the woman some advice to help her turn the situation around. They tried working with her to improve the living conditions for the dogs and even gave her free vouchers to get them spayed and neutered. 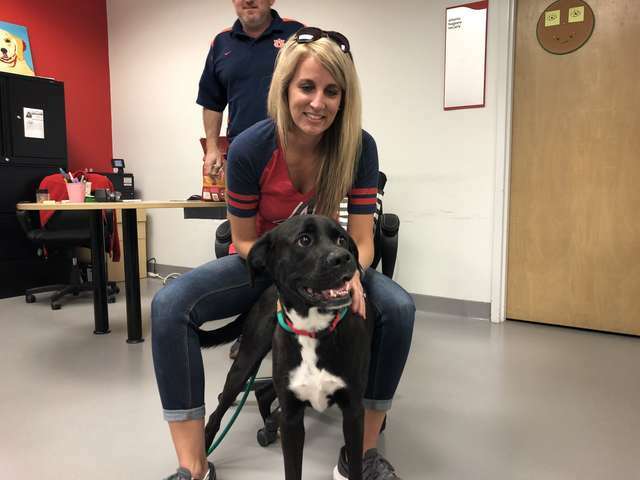 They even offered to visit the home to help coach her through socializing the dogs. Jilly returned a month later to check on the dogs and nothing had changed—in fact, things had gotten worse. 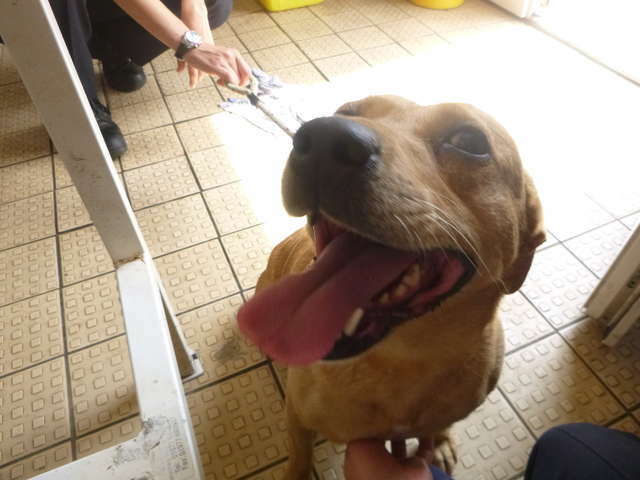 Since the dogs were not safe in the home, the RSPCA took all nine of them in to their facility. The dogs were so unsocialized that they had never been outside or even walked on a leash before. So, many of them had to be carried out to the car so they could be transported. 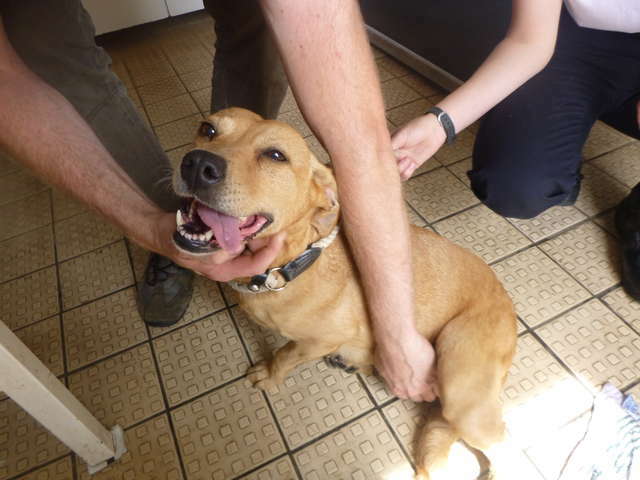 Once they arrived at the RSPCA facility, it was like they knew they were finally safe. The dogs were so happy to be free: they all had tails wagging, gave their rescuers kisses and just kept smiling. 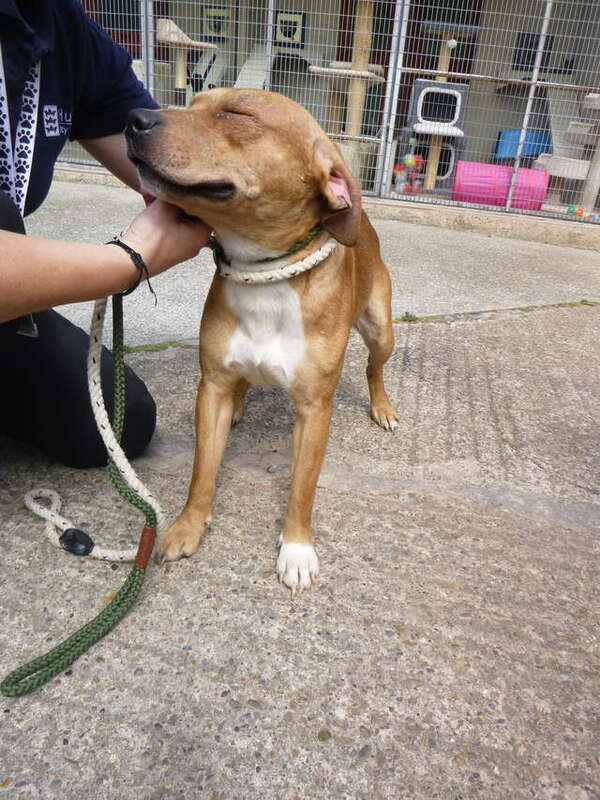 The dogs are all safe now and will be ready for loving home soon.